Parsnip’s beautiful fluffy coat was so matted from a rough street life that he had to be shaved 😭. He also needed a substantial dental and was significantly underweight. 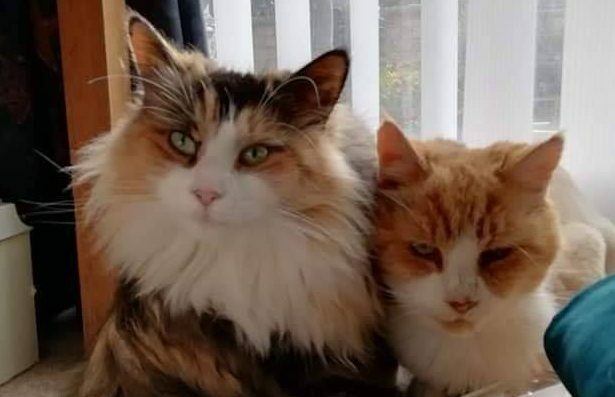 Everything is on the up, and after all their vet work has been done, some good food and lots of attention, they are now ready for their new family. We would love for them to find somewhere they can stay together and get the affection and attention they deserve. They are the most beautiful pair and Parsnip being an older gentleman that loves a cosy patch to sleep in, and cranberry loves cuddles and playtime.